Donating to our Akron, Ohio car donations program will not only help you dispose of your unwanted vehicle; it could also make a tremendous impact on the lives of our struggling veterans. 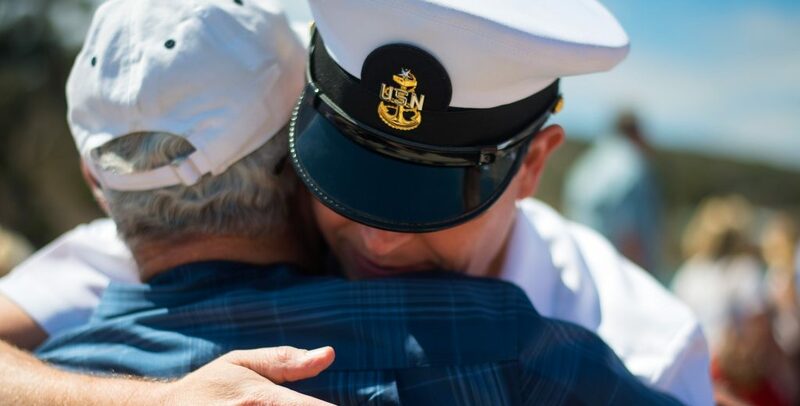 When you donate your car to us at Veteran Car Donations, the proceeds from its sale will go directly to our charity partners that have programs dedicated to helping our nation’s ex-servicemen and women. Through our partnerships with these certified 501(c)3 non-profit organizations, Veteran Car Donations extends a helping hand to the veterans who haven’t been fortunate enough to avail themselves of the benefits offered by the government. As our soldiers return home from their overseas deployment, easing their way back into civilian life is far from easy. They need to have access to the resources that could help them readjust to normal life. Sadly, the government alone cannot provide for the needs of every veteran in the United States. Our nation’s heroes need good people like you to fill in the gap in government benefits by donating a vehicle. It’s estimated that more than 39,000 veterans in the United States are homeless on any given night. These are the very people who dedicated their lives to fight for our country so that we don’t have to. Destitution shouldn’t be the result of their sacrifice. These programs can neither be sustained nor developed without adequate funding. Your car donation is a necessary tool in the pursuit of ending veteran homelessness, unemployment, mental health disorders, and lack of education. What you may consider as a “useless” car will find great use when you donate it to our Akron, Ohio car donations program. You can donate almost any type of vehicle that you have that’s taking up some much-needed space in your garage. We only need your proof of ownership to secure that it could be sold at auction. If you have questions or concerns about your vehicle’s title, you can call our title clerks who are ready and able to address any of your concerns. One more thing, Veteran Car Donations won’t limit you from donating more than a single vehicle. If your backyard is more like a junkyard filled with useless pieces of metal, we’d gladly accept your multiple Akron, Ohio car donations! It only takes a minute to change the course of a former GI’s destiny. You wouldn’t even have to lift a finger to do it except to make a call! We at Veteran Car Donations greatly value your generosity, and one of the ways we show our gratitude is to make sure that your Akron, Ohio car donations experience would be quick and painless! You can start by filling out our online donation form or by calling us at 877-593-5822. We will need to know your vehicle’s basic details like its make, model and year as well as its location. Veterans Car Donations will arrange with a local towing company to pick up your vehicle at its location at your preferred time and date — free of charge! We’ll be the ones to take care of everything. We’ll give you a donation receipt that will release from all liabilities as the owner of the car you’re donating, enabling you to cancel and stop paying for your car registration and insurance. We’ll send you another document — your tax-deductible receipt — by mail within days after the sale of your donated vehicle. You’ll use this to claim your top tax deduction when you file your itemized federal tax return. Think about how good it would make you feel to see such a clutter-free garage, or to be finally free from paying insurance, repair, maintenance and whatnot for an unwanted vehicle. Think about the convenience of having somebody else arrange and pay for towing! Imagine the thousands of dollars you’d get to save when you avail yourself of your top tax deductions! These are some of the perks that you would get once you donate your vehicle to our Akron, Ohio car donations program. It makes you think that being our veterans’ hero changes your life as much as it changes theirs. The name Akron comes from the Greek word meaning “an elevation” or “point.” It became the seat of the Summit County in 1841. In 2015, the city was listed as having a population of 197,542, making it the 119th largest city in the United States. Owing to its proximity to a waterway, Akron became a manufacturing center. With its highly diversified economy, finding the right jobs for some of our fellow unemployed veterans should be an easy task. Contact us at 877-594-5822 and get free towing services for your Akron, Ohio car donations!